Love it here..for the most part submitted by Rodger M. - Mar 30, 2017 |Recommended: YesAlways lived in a single family home and it's so nice not to have to make repairs. They are always so good about responding to the smallest complaint. I recently spoke to someone who hated it here and was leaving for another apartment. I was amazed. I checked out many apartment complexes before we moved here, nine years ago, and this was by far the best for the money. response from property - Thank you Rodger, we're glad to hear you love it at Twin Ridge, and that you didn't let anyone else change your mind! We're always here to help or if you have any questions, so please feel free to reach out if there is anything else we can do for you. response from property - Thank you Lourdes, we are so glad you're enjoying your time here! Please let us know if there is anything else we can do for you! Glad to Call Twin Ridge my Home submitted by Cathleen C. - Mar 03, 2017 |Recommended: YesAlthough I'm a cute grandmom... not into the whole blogging and MySpacebook thing... But making an exception to sing Twin Ridges praises. Here's what I enjoy about Twin Ridge 1 the office and maintenance staff members 2 my apartment 3 the pool 4 the fun activities 5 the landscaping 6 and, again, the staff members' helpfulness, efficiency, and slow to delay to fix stuff. BTW... this is my first blog. Hopefully I don't get cybered-out. response from property - Thank you Cathleen! It's wonderful having you here and we're happy we've made a difference in your living experience! Please let us know if there is anything else we can do for you! response from property - Thank you, Paula, for the wonderful review! We're so glad you've enjoyed your time here and hope we've made it a great experience for you! Please let us know if there is anything else we can do to make your stay even more enjoyable. Thanks again! I am very happy that I chose to live heresubmitted by Brandi W. - Jan 20, 2017 |Recommended: YesWhen I moved to Maryland, I was not familiar with the area, but wanted something convenient to my work in Towson that would be quiet and well-kept. I am very happy with my choice to move into Twin Ridge. It has been a while since I lived in an apartment complex, and I was concerned about having neighbors again. I have had no problems with noise and everyone that I have met has been courteous. For the most part, any maintenance issues have been taken care of promptly. My one irritation would be parking when I come home late at night on the weekends. Other than that, I have enjoyed living here. response from property - Thank you, Brandi, for the great review! We're sorry you sometimes experience trouble with parking. If there is anything we can do to help you with this, please let us know. Otherwise thank you for the wonderful review; we're happy to hear you're pleased with your decision to live at Twin Ridge! Awesome place to live submitted by Benjamin C. - Dec 01, 2016 |Recommended: YesI love living at Twin Ridge. The complex is safe, clean and quiet. I look forward to coming home at the end of a long work day. response from property - Thank you Benjamin, we appreciate you taking the time to rate our community and are glad you've enjoyed living here. Please let us know if there is anything else we can do for you! I like the property submitted by Max M. - Nov 01, 2016 |Recommended: YesI like the property and I like its location and it is a pretty good apartment compared to the others that ive looked at before i picked this one. i also like how fast the maintenance guys come to fix a problem. literally in minutes. response from property - Thank you Max, we are so glad you've enjoyed our speedy service, location, and apartments. If there is anything else we can do to make your stay here comfortable, please do not hesitate to let us know! I feel safe and enjoy living here. The pool is amazing. submitted by Elizabeth C. - Sep 24, 2016 |Recommended: YesTwin Ridge is peaceful, safe, and an enjoyable living experience. response from property - Thank you Elizabeth! We're glad to hear you're enjoying our community and amenities. Please let us know if there is anything else we can do for you to help make your stay enjoyable! Thank you again for the 5-star rating! Good place to livesubmitted by Yong L. - Aug 31, 2016 |Recommended: Yesit is a very good and peaceful place to live in Baltimore. Friendly and helpful staff, good environment. response from property - Thank you Yong! We appreciate you taking the time to provide your feedback about your living experience here at Twin Ridge and we're so glad it's been great so far. Please let us know if there is anything else we can do for you. Take care! 9 years.submitted by Lashonda S. - Aug 27, 2016 |Recommended: YesI have lived here for 9 years and I love it The community grounds are always taking care of. Over the course of these years, I've moved from a one bedroom to a two bedroom and the transition was seamless. Maintenance has always responded to inquiries in a timely manner. If problems aren't fixed right away, they are able to give you an estimate of when items will be fixed. My interactions with office staff and even maintenance workers have always been positive. At times, the noise of my neighbors above me can be slightly loud, but nothing to complain to office staff about. The 24hr gym availability and pool are a plus. I would recommend and have recommended this property to several coworkers and friends over the course of years. I enjoy the diversity of the community and I love the convenience to shopping and major highways that surrounds this property. response from property - Thank you Lashonda! We appreciate you taking the time to rate our community and are thrilled you've had such a great living experience here at Twin Ridge. We've enjoyed having you here for 9 years and hope you continue to love it for many more years to come. Please let us know if we can do anything else! Thank you again! response from property - Thank you David! Here's to another 10 years indeed! We're more than happy to have you as one of our long-time residents and help whenever we can. We hope everything continues to go well for you, please let us know if there is anything else we can do! After Almost A Year, Glad We Chose Itsubmitted by Jonathan K. - Jun 04, 2016 |Recommended: YesLiving at Twin Ridge is a pleasure. We are a retired couple who were looking to stay in this neighborhood after owning a home here for over 20 years. Our apartment is great, new wall-to-wall and fresh paint greeted us. The staff was extremely helpful in getting all the paperwork done efficiently. All of terms were explained and we really liked there there are no hidden fees that we found at other apartment complexes After moving in early in Fall of 2015, if we had any repairs that needed to be done, they were responded to with great speed and solved...no ifs ands or buts . Even small things, like a minor backup in our dishwasher. The appliances our apartment came with, while not new, are in great shape, like everything else, well maintained. The HVAC saw us through the winter and the summer in comfort. Double glazed windows are a plus. The internet does get overloaded at times, never down, but could use some upgrading. Xfinity Comcast is the only choice to internet TV. The grounds are well kept. During the blizzard this winter, the company that was contracted got all of us out and ready to drive when no one else did. It took a lot of work, and I suppose a lot of money, but as residents we were impressed...a great plus. Now that summer is here, the pool is sparkling, refreshing and like everything else, first rate We've not used the gym facilities, but expect the same and know we won't be disappointed. Management has changed to WPM recently and we are hopeful that it does affect the level of service and quality we experienced under the former management. Moving to Twin Ridge was a great decision for us. response from property - Thank you Jonathan! We appreciate you taking the time to rate our community and hope your stay at Twin Ridge continues to be a great living experience! Property is beautiful.submitted by Cynthia M. - May 26, 2016 |Recommended: YesIts quiet. Neighbors not really friendly. Parking has good and bad points sometimes have to park away from your complex, worry some when you work 3-11p and 11p shifts. response from property - Thank you for the 5-star rating Cynthia, we appreciate you taking the time to rate our community and are glad you love it here! Please let us know if there is anything we can do about your concerns.  response from property - Dear Odette, Thank you for the great review of Twin Ridge Apartments! We appreciate you taking the time to rate our community and hope your living experience continues to exceed your expectations! Please let us know if there is anything else we can do! Great Team submitted by David - Apr 08, 2016 |Recommended: YesWe recently moved into one of this communities rare townhouses and we have been extremely impressed with the Twin Ridge team. Bobby has been super supportive throughout our move, and is a pleasure to work with. You can tell that she is passionate about her job and about her people. Maya has been absolutely incredible the logistics of our move made it impossible to see our unit before moving in something that was not easy for us ... Maya went above and beyond, offering every accommodation she could to alleviate our concerns. When we moved in and had some outstanding maintenance issues, maintenance was on-site less than 24 hours after submitting the request, and Will spent hours meticulously fixing all of the issues. Every member of the Twin Ridge team that I have met thus far seem engaged and committed to maximizing the experience of their residents. We've only been here a week, but we are looking forward to our continued relationship with the Twin Ridge crew. response from property - Dear David, Thank you for the wonderful review of Twin Ridge! We are so pleased we were able to help you with your move, and are happy to have you here! If there is anything else we can do, please do not hesitate to call or stop by!